As you can see in the below screenshot on the right, in iOS 11 and 12, the auto-brightness option is no longer available in the "Display & Brightness" settings anymore. 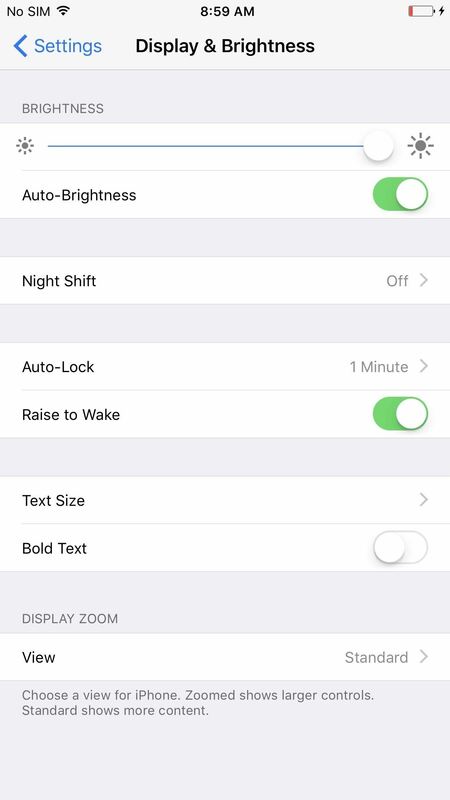 Performing a search in the Settings app for "Auto-Brightness" will get you to the new location of this preference, but not really, since you have to tap once afterward to find the setting (if you can even remember what the search page said). "Auto-Brightness" seen in iOS 10 (left) but missing from iOS 11 and higher (right). Apple's making us work for it. Now it's buried inside the Accessibility settings. To get there, select "General" in the Settings app, then "Accessibility." On the next page, tap on "Display Accommodations," and you'll see the toggle for "Auto-Brightness." Why did Apple make it harder for users to disable auto-brightness in iOS 11 and iOS 12? Who knows. 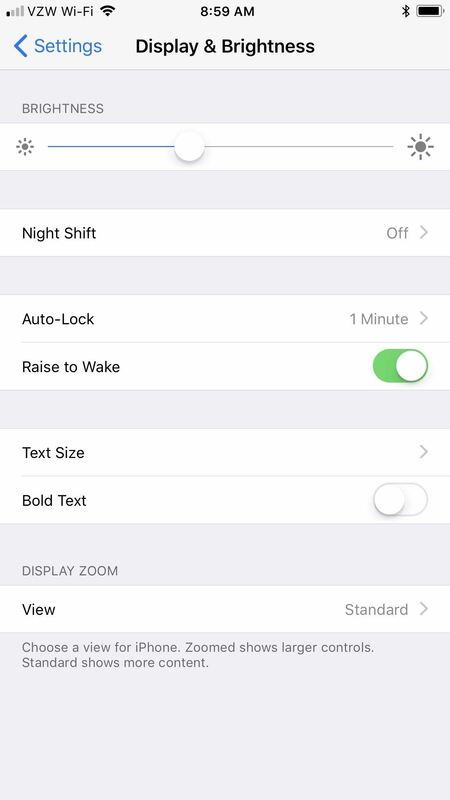 Maybe they were trying to reduce the number of people who complained about horrible battery life on their iPhone, which would explain the note in the settings caption that "Turning off auto-brightness may affect battery life." Still, I thought that was fairly obvious. On OLED-equipped displays, it will also say "... and long-term display performance" in the caption since if you have the brightness on high for a long time when viewing a static image, it could produce a burn-in effect. So, avoid having it at maximum brightness for an extended period of time when the same view is on the screen. Thanks for that. I can't read my phone when it dims in the dark. Since downloading IOS 11.03 two days ago, and with auto-brightness turned back on (until right now), my Iphone 7 is using battery at double the rate it was previously. I don't do a lot with my phone, and don't really know what it is doing to eat through the battery at that rate. Can I reverse it to the previous version of IOS that was on the phone? Yet another stupid move by apple. If you have a whole option called display and brightness why wouldn't the option to turn off auto brightness be there instead of general/accessibility. I am finding this with a lot settings. Apple products are known for being easier and more intuitive to use than other phones. Based on my experience with this IOS version so far, I feel like it is going to be apple's version of vista when Microsoft put that piece of crap out. Maybe iOS 12 will be Apple's version of Windows ME... yeah... that! I like auto brightness but I like the ability to tweak it back up a little if I need to. I'm going to see if I can add this to my swipe right or swipe up page.. maybe huh? It's actually much easier than this to disable auto-brightness. Simply open the control center and adjust the brightness to whatever level you want. Although this doesn't change the auto-brightness status in settings, it does effectively disable the feature. Generally I prefer auto-brightness to save battery life, however, when using certain apps such as photo editing, I prefer the highest screen brightness to optimize the experience. Unfortunately, in order to re-enable auto-brightness I must go through the arduous steps detailed in your article to disable and then re-enable auto-brightness. It would make more sense if the auto-brightness setting was included in the menu which you can access by 3D-touching the brightness bar in control center.